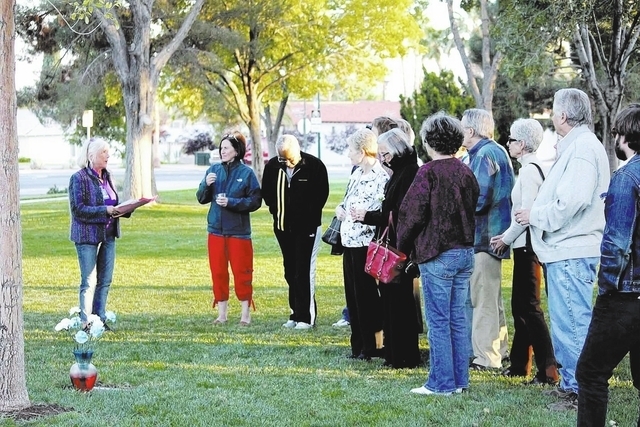 About 20 members of the Boulder City Democratic Club gathered at Frank Crowe Park Oct. 10 to honor its deceased members and dedicate a plaque in their honor. 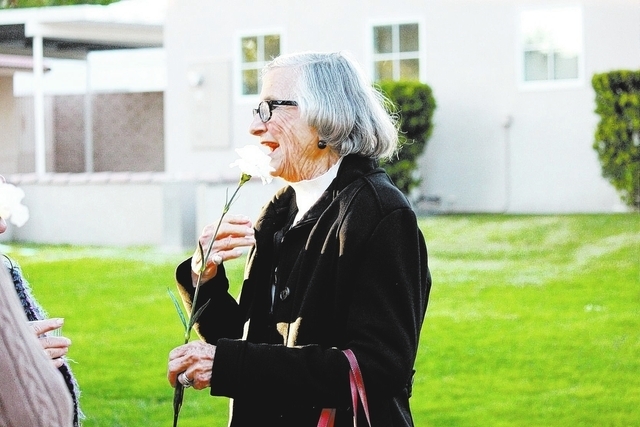 Some of these members were Ralph Denton, Gene Segerblom, John Tryon, Cyril Murphy, Wendy Rockenfeller, Richard McHale and Francillo Durfey. 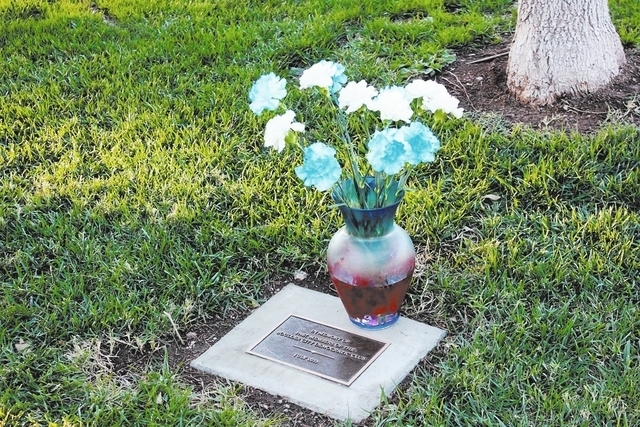 “We didn’t put names because there are so many who have helped to turn Boulder City blue again,” said club chair Valerie McNay.